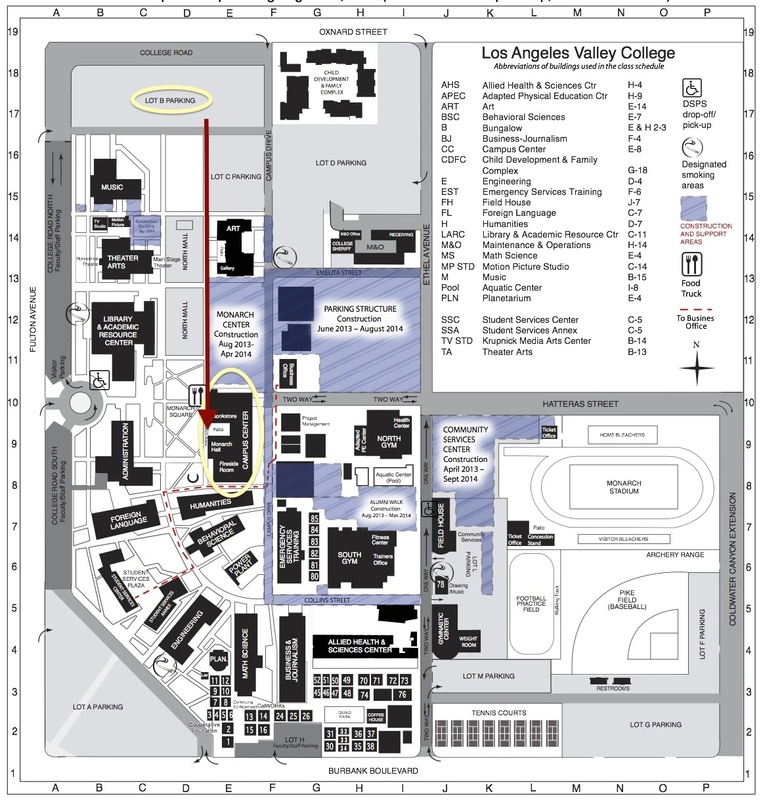 The VTHS Auction 2014 will be held today (Sunday, May 4) at Monarch Hall in Valley College. The doors open at 6:00 PM and the first ticket will be drawn at 8:00 PM. Please park in lot B on the corner of Oxnard and Fulton. See map below for details. There are still about 10 free admissions available at our Facebook Event Page. And you can get $50 worth of tickets for bringing a guest to the Auction.